If you’re thinking “Wow, this guy hasn’t written an actual blog post in a while” you’re right. The weekly Happy Monday posts will turn 5 this summer but I spend a lot more time now on social media (lots of Facebook, little bit of Twitter) than I do blogging. I’m pastoring a church and maintaining the church website, hopefully some readers are following that as well. 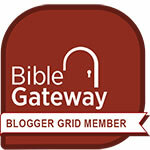 There is an RSS feed in the left-hand sidebar, most of the posts are Sunday sermons. The title of this post is not “Expository vs. Topical Preaching.” I’m not doing a straight compare and contrast of the two forms, but kind of hoping you know at least a little something about them. What I want to do is explain why I prefer one to the other without avoiding the other completely. 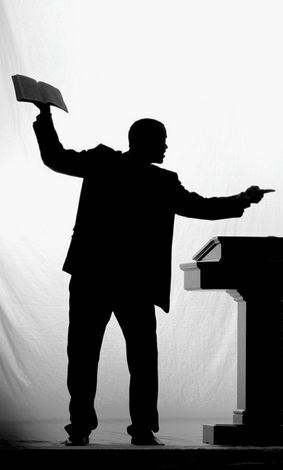 I believe expository preaching is the superior model. I recommend Preaching That Changes Lives by Mike Fabarez if you want to read up on it. I probably read more verses of scripture in a typical sermon than most preachers and do not apologize for that. If the worst criticism you have of me is that I read the Bible too much, I would counter that too many sermons are woefully lacking in biblical content. I have preached through the Gospels of Mark and John, verse by verse, just in recent years and carried the Wednesday evening “regulars” through a handful of New Testament epistles. I like to place verses in the larger context of the chapter and book they are found in, and even how the particular passage we are reading relates to the message of the whole scripture. My goal is to preach expository sermons the vast majority of the time. And yet, having said that, there are a handful of times throughout the year that I will preach a topical sermon. In the first place, let’s not mince words. Every sermon, no matter how expository, has a topic. I believe you can also choose a topic, whether it’s Mother’s Day or Thanksgiving, and preach an expository style sermon. I take the long view of ministry. Borrowing from what Michael Spencer said about the small Christian school at which he served, our ministry is more like a slow cooker than a microwave. My preaching ministry, combined with Sunday School, Discipleship, Wednesday evening Bible study and personal study work together over a period of time in the maturation process of believers. If you stay with us long enough, we will cover every topic and every passage of scripture. Then it’s not really starting over to look at those same scriptures again because the reader is not exactly the same person as before. It’s not always wrong to sometimes just give people what they want. Jesus preached some humdingers. But there were occasions that he did not preach. When the disciples tried to turn away parents from bringing their little children to Jesus, he stopped that from happening. He had them brought near, taking the opportunity to talk about what the kingdom of God is like. Jesus accompanied his mother to a wedding at Cana. He questioned what the host running out of wine had to do with him… but proceeded to turn water into wine. It was the first recorded miracle but it forces us to question just how much Mary knew. The first miracle was performed just to keep the party going. I say again, it’s not always wrong to just the people what they want. Valentine’s Day is coming up. If memory serves, to the best of my knowledge, I have never took the easy way out and read the 1 Corinthians “love is patient, love is kind” passage and threw something together. I could read a few paragraphs from Ruth and talk about how much Boaz loved her. Neither of those are what I am planning but either or both of those things may get a mention when I put romantic love into the larger context of scripture. What I’m working on for next Sunday is a reading of Ephesians 5 on the way husbands love their wives. Paul uses this love to illustrate how Christ loves his bride the church. Chocolate and candy hearts are nice but cultivating a relationship over many years of devotion is what God has in mind for men and women, not one night stands quick hook ups. I hope to preach a sermon that is topical in an expositional style that places the passage in context, considers what Paul had to say to the original audience, and gives application that the listener can respond to. Some of you are thinking “yeah that’s great, no problem” and others are probably still shaking your head and saying “you should never do that.” If you eat a healthy diet with plenty of fruits and vegetables, a slice of cake on your birthday isn’t going to make you fat or give you diabetes. Just like 5 or 6 topical sermons out of 52 will not lead a church into apostasy. I will now yield to comments. Play nice. This entry was posted in Christianity, religion and tagged exposition, expository sermons, preaching, topical sermons. Bookmark the permalink.